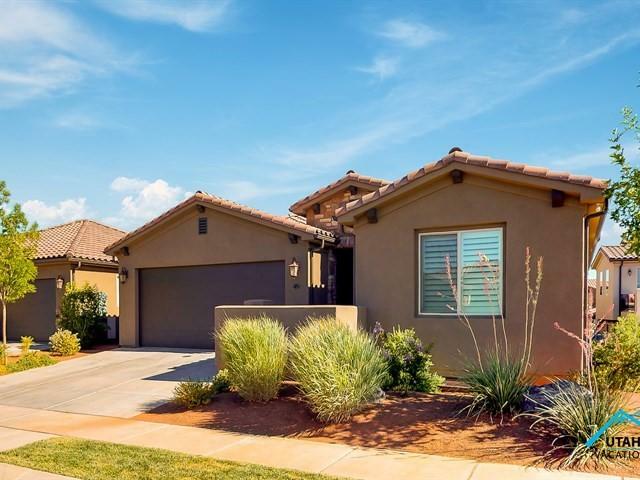 All Santa Clara homes currently listed for sale in Santa Clara as of 04/19/2019 are shown below. You can change the search criteria at any time by pressing the 'Change Search' button below. 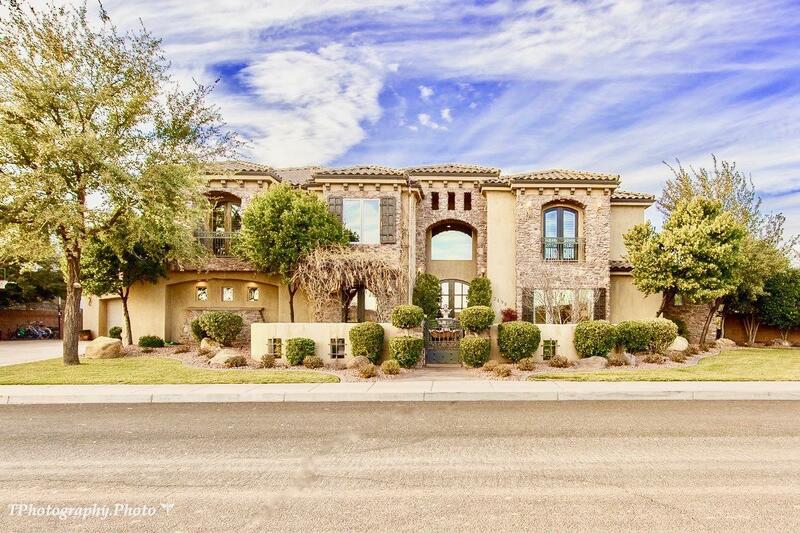 "BEAUTIFUL CUSTOM HOME*COMPLETELY REMODELED*ALL THE UPGRADES YOU'D EXPECT & MORE*10' CEILINGS*SOLID WOOD 8' DOORS*CUSTOM CHEFS KITCHEN*QUARTZ COUNTERTOPS*BUILT-IN SUBZERO FRIDGE/FREEZER W/CABINET FRONTS*WOLF COOKTOP*HUGE HIDDEN PANTRY*TIERED THEATER ROOM*GAME ROOM*2 LAUNDRY ROOMS*DRINKING FOUNTAINS*CROSSFIT GYM*WATER PURIFICATION*INDOOR/ OUTDOOR CAMERAS, ALARM AND SURROUND SOUND*RESORT STYLE POOL*"
"A beautiful owner/builder custom family home in Crimson Rose Estates. Spacious floor plan on main level with open kitchen into living room & outdoor covered patio balcony. An elegant home office with separate entrance & custom built in's. Master bedroom includes a large study with access to the balcony. On suite master bath includes a floating tub, his & her sinks & large walk-in closet." 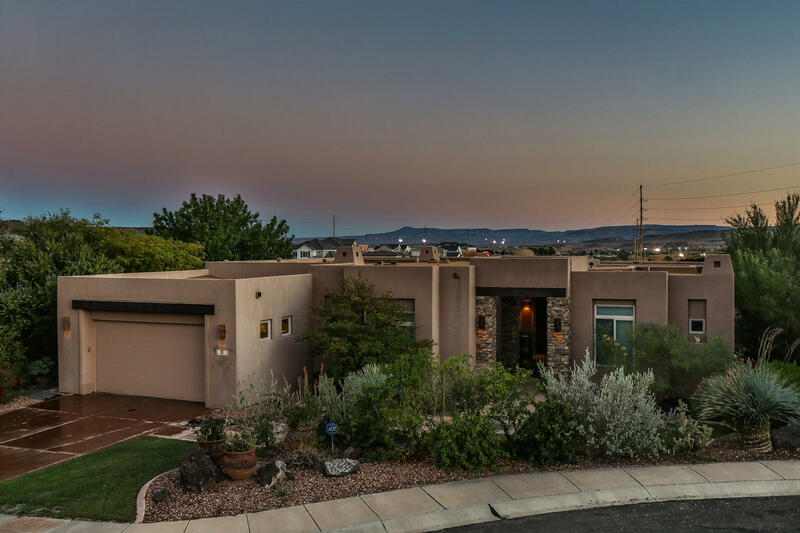 "Perched upon a bench with sweeping, seamless unobstructed views of Snow Canyon, Red Mountain, Pine Valley and beyond. The breathtaking views captivate the senses and beckons you to enter this uniquely designed home oriented perfectly so that most rooms afford a view. 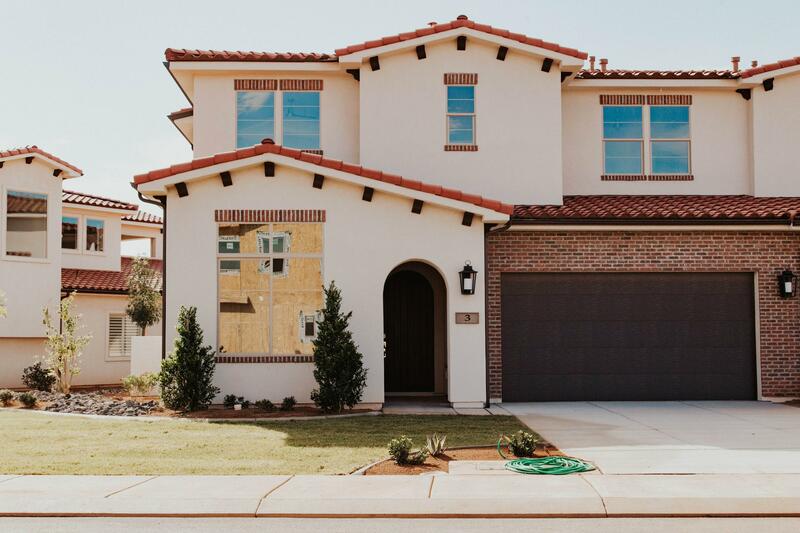 The abundance of custom windows, oversized balcony & patio integrate the character & energy connecting the inside with the outside." 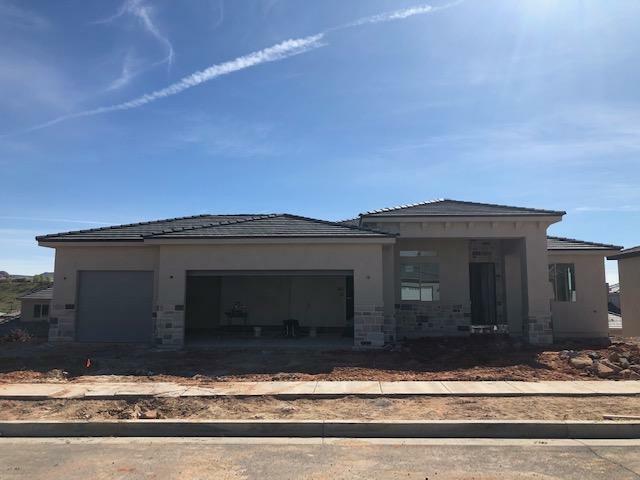 "Beautiful newer home designed and built by Split Rock Construction in the quiet neighborhood of The Vineyards located in Santa Clara. Engineered hardwood floors and upgraded carpet through out. Other upgrades include high end Jennair appliances, 60 inch linear fireplace, water softener, reverse osmosis, Home theater pre-wired for the Dolby Atmos experiece. Seller financing available." "Breath taking Views surround your home in this one-of-a-kind Resort Community. 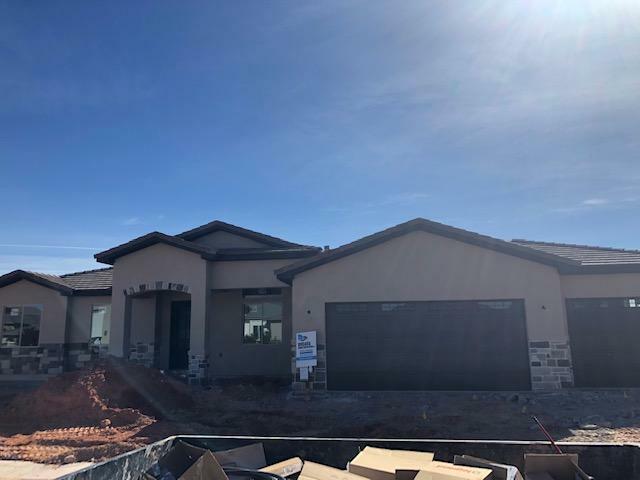 2019 Parade Home. 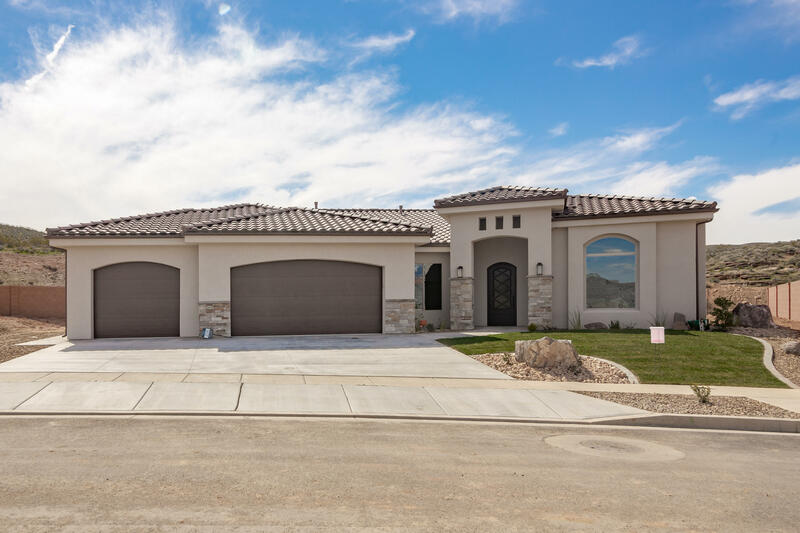 Amazing floor plan with gourmet kitchen, Quartz throughout, tile floors, and high end finishes. Bunk Room sleeps 10! Beautiful 2-story clubhouse, with fitness center, lazy river, 2 swimming pools, 2 hot tubs, slide, poolside eatery, and green area available to enjoy with a Arcadia Resort Membership"
"Turnkey home with a good rental history in a highly coveted Award Winning approved nightly rental community.Paradise Village Features Southern some of Utah's best amenities including a custom two tiered pool, 2 big hot tubs, a waterpark, lazy river, clubhouse, gym and next door to Gubler Park for quick access to 6 pickle ball courts, volleyball, soccerfield, splash pad, playground & More!" "Sold with MLS #19-202830, see for more details." "4.48 ACRES. HORSE PROPERTY. If you're looking in Santa Clara or even St George, you just won't find anything this size! Perfect location. Amazing views! Did you see the indoor swimming pool? The pool is 1500 sqft. Sits on 2 parcel that are sold together for a total for 4.48 acres. Buyer to verify all." "Breath taking Views surround your home in this Luxurious Resort Community. 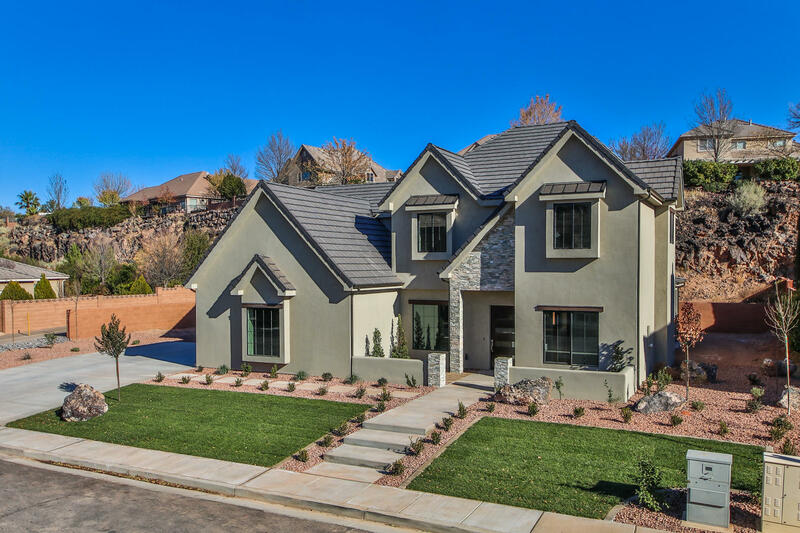 Amazing floor plan with 2 huge family rooms, gourmet kitchen, granite throughout, 2-tone paint, tile floors, and high end finishes. 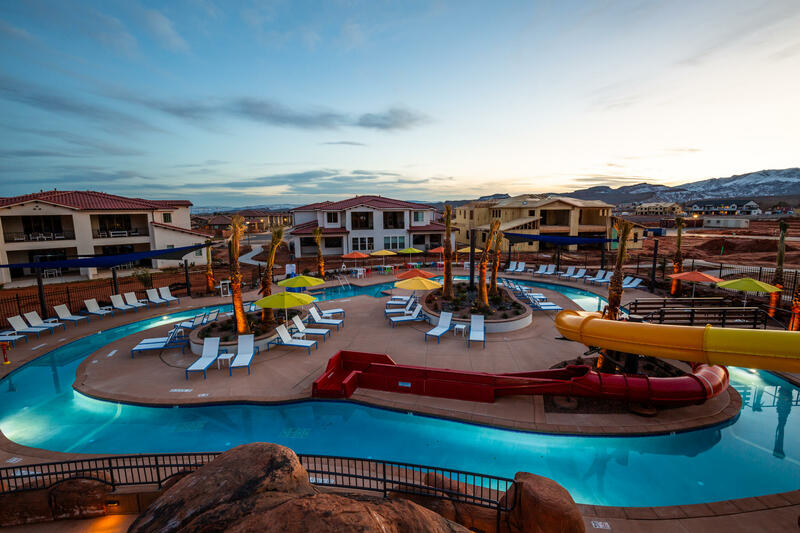 Beautiful 2-story clubhouse, with fitness center, lazy river, 2 swimming pools, 2 hot tubs, slide, available to enjoy with a Arcadia Vacation Resort Membership. This home is under construction." "Red Mountain Views! Surrounded by this Luxury Resort Community in Santa Clara. Floor plan includes 5 bedrooms, 5 baths. 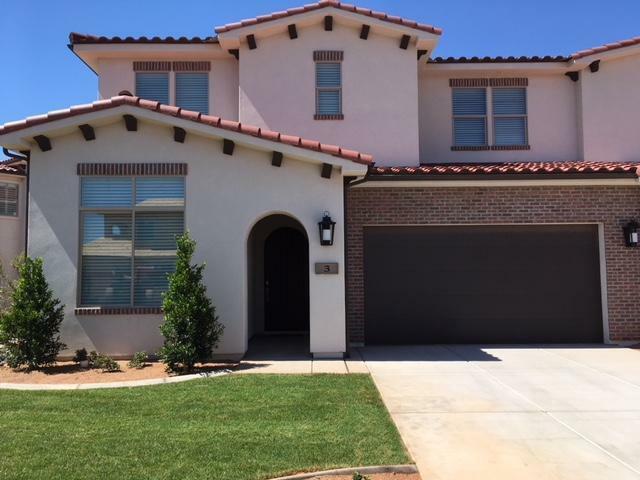 2 family rooms, 2 covered patios, gormet kitchen with high end finishes thoroughout home! Beautiful Clubhouse with fitness center & game room, swimming pools, lazy river, snack bar! Don't miss your change to own this incredible property!" "Immaculate home with low maintenance self-cleaning salt/pool & hot tub. 3 bedrooms each with ensuite bathroom. Formal dining plus breakfast nook. Gourmet kitchen with Wolf gas range, Subzero, 2 Asko dishwashers, warming oven & 2 pantries. Laundry room plus upstairs hookups. Outside BBQ area w. bar. RV Parking, Outside storage shed included. A must see home. 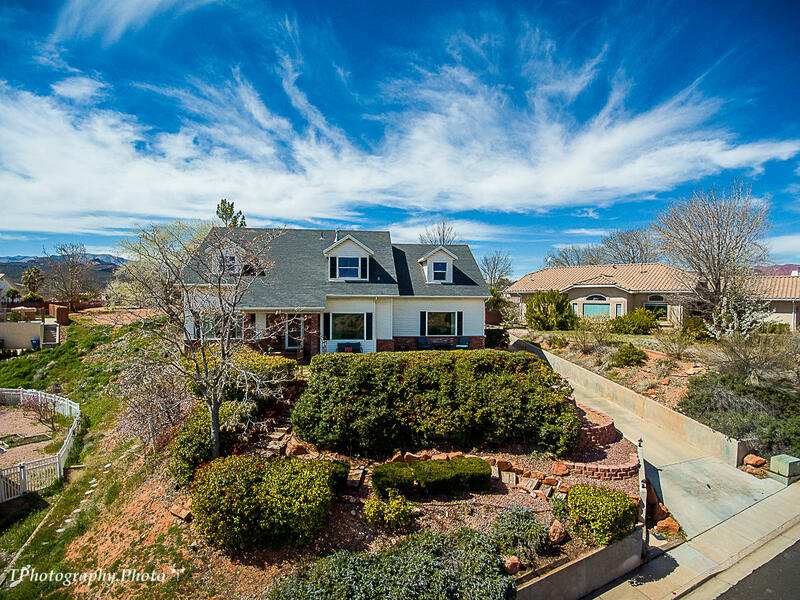 NO HOA FEES"
"Incredible views of the Red Mtn and Pine Valley Mtns. This home has all the upgrades including dual master bedrooms, quartz tops, nicely upgraded finishes and the works. The yard is ample sized with no back neighbors. Come and enjoy a bit of the country that is out of the way, but not too far out of the way." "Incredible new construction that takes all the view into account. 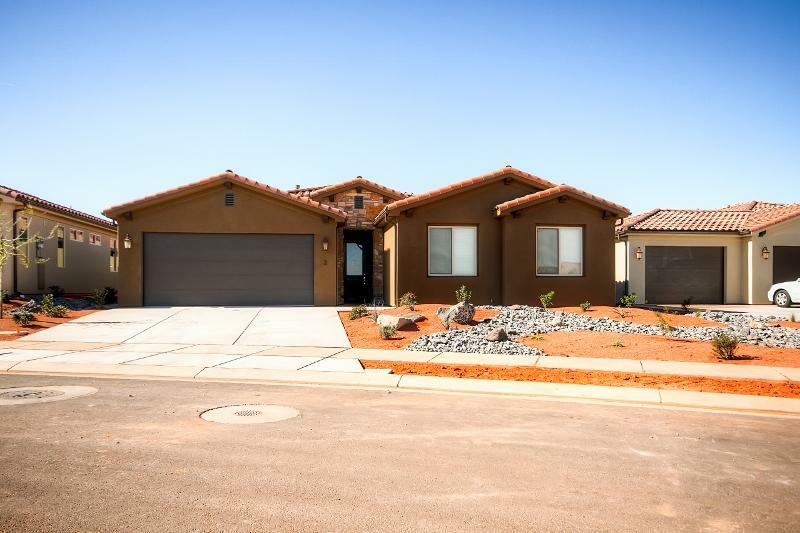 Enjoy the views of the Red Mtn with no one behind you with a big back yard that is just begging for a pool and has the size to take care of a lot of fun. Currently nothing behind the home but nature! This home has two living areas and a mini master split from the rest for guests. It truly is a home to behold!" "Fully Furnished nightly rental home in Paradise Village. 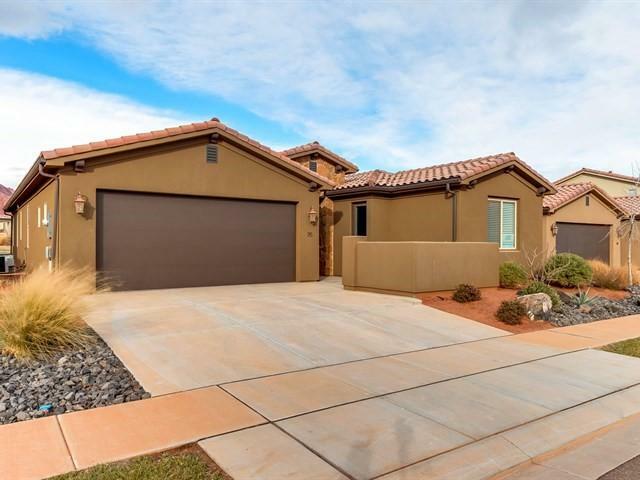 4 Bed 3 Bath 2 Car garage with views of Red Mountain and Snow Canyon.Amazing amenities. 2 pool complexes with water slides, hot tubs, etc." 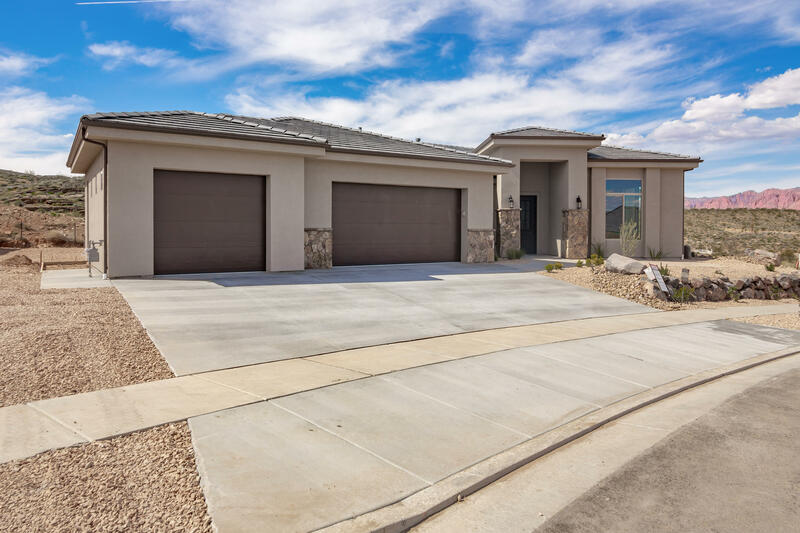 "Unique, custom home in a very desirable neighborhood. 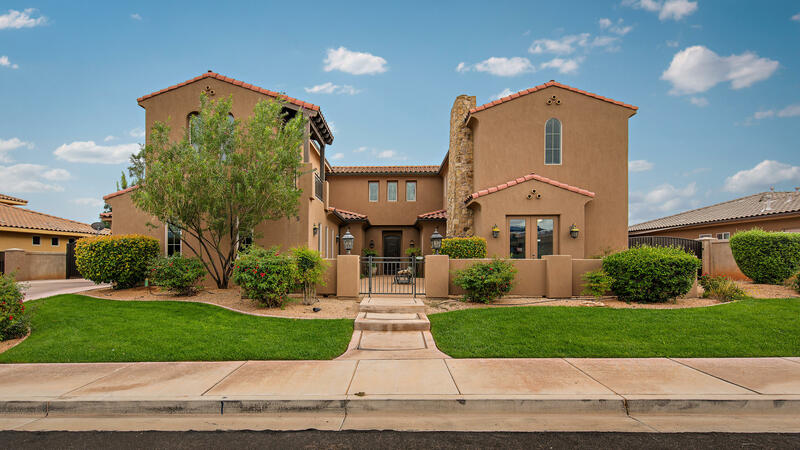 Front gated courtyard, fully landscaped yard with covered patios, fire pit, two outdoor fireplaces and a private entrance to a home office or salon. Spacious rooms, new hardwood floors and paint. A must see. Agent is related to the seller." "New home with great views, large lot, tons of space for families and entertaining. Enjoy Mnt Biking, hiking, and ATVing right out front door. Second kitchen in the basement, 10 ft high ceilings gives a lot of extra light and room. Great views, large lot with plenty of room in the back yard for a pool. Home is just being landscaped and finishing touches, nearing completing first part of May." "Fully Furnished NIGHTLY RENTAL home in Paradise Village. 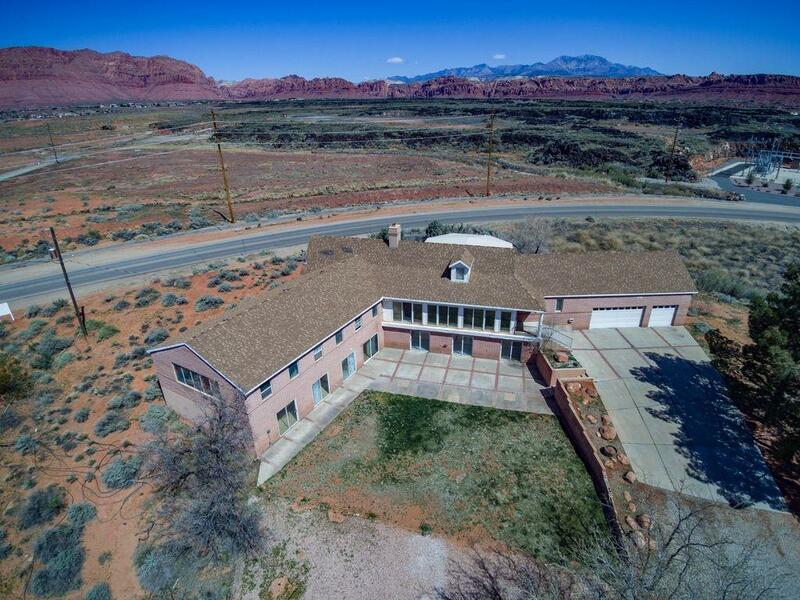 3 Bed 3 Bath 2 Car, Views or Red Mountain and Snow Canyon." "ENTRADA LIFESTYLE at an affordable price. The only ungated community (no gate wait), Lava Cove has so much to offer. Nestled on a quiet Cul de Sac. 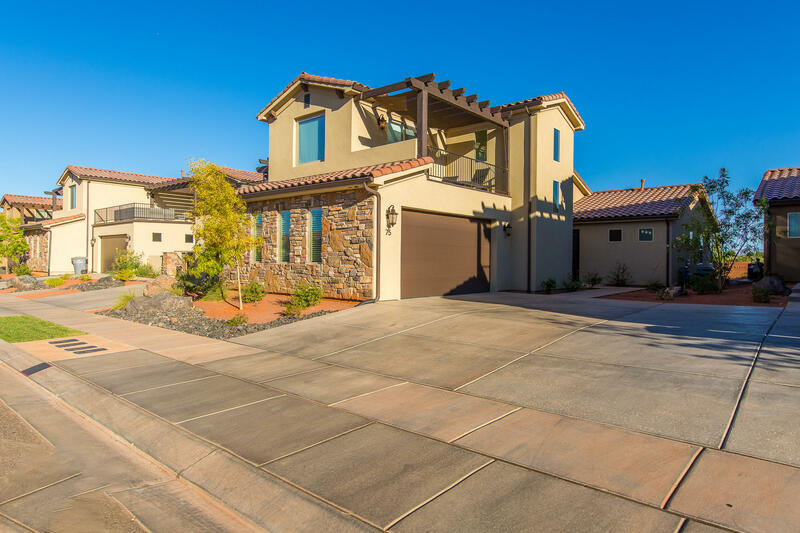 Beautifully upgraded home, with custom tile and granite throughout. Large master suite with walk-in closet. Kitchen has upgraded appliances, large walk-in pantry, wonderful dining space and doors open to back patio. 2nd bedroom offers private bath." 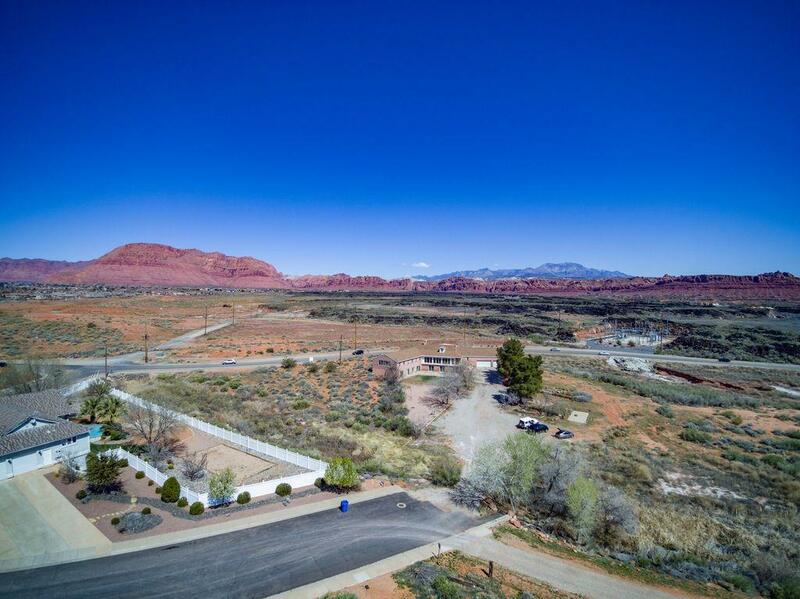 "Awesome new build job, unobstructed views of pine Valley and the red cliffs to the east. Open floor plan, nicely upgraded, tons of extra storage, two family rooms with a second kitchenette in the basement. Great home with large yard and room for a pool and extra entertaining. Mountain Biking and ATV trails just down the street. Building plans may have changed slightly, buyers to verify info." "Location Location Location! 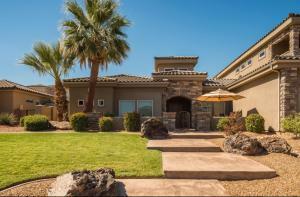 This is a Turnkey home right by the clubhouse, pool and large open green space. Very wellacquainted with a lot of nice upgrades. Has a good rental history and is located a highly coveted ''Best of State- Award Winningnightly rental community.'' 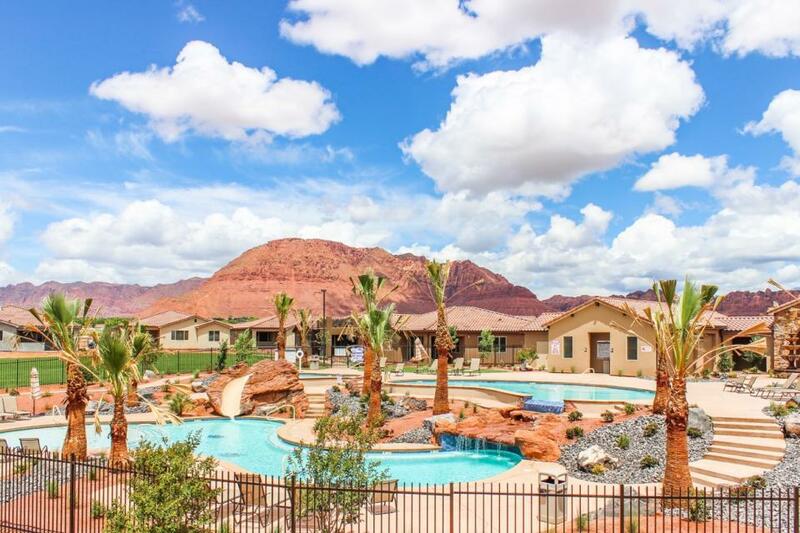 Paradise Village Features Southern Utah's best amenities!" "VERY WELL Performing APPROVED nightly rental in Paradise Village at Zion w/flexibility to use when you want to. 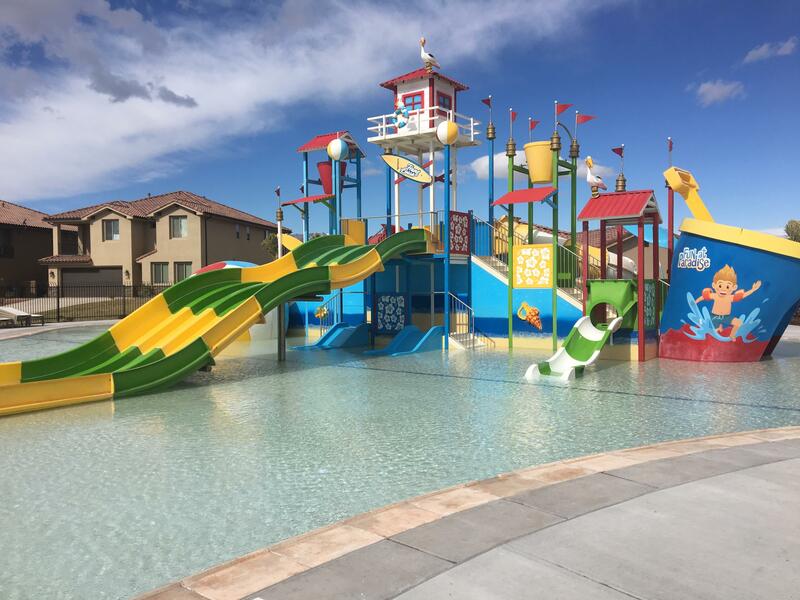 2 swimming pools & AN EXCLUSIVE 'KIDS KOVE' PRIVATE WATER PARK w/snack bar! Enhanced with EVERY upgrade expected. FREE beautiful vistas & sunsets. NO NEIGHBOR behind - just a grassy field owned by the school. City Park w/pickel ball courts are a very short walk. Furniture pkg. available." "This SPACIOUS HOME is a must see for the money! GREAT VIEWS! The large 4,702 Sq. Ft. home includes NEW Paint, Granite Countertops, Plantation Shutters, New Carpet, Refinished beautiful Wood Floors. Two GREAT ROOMS. LARGE KITCHEN w/ Island with plenty of Counter Space, STAINLESS STEEL APPLIANCES, and Walk-in Pantry. The Master Suite has a MASSIVE Walk-in Shower. The 2nd floor has a Mother-in-law"
"Zoned Short Term & Nightly rental. Use it or rent it out to offset expenses. Fully furnished including dishes, cookware, linens. Many upgrades; plantation shutters, stone tops, hot tub, fire pit, BBQ. Sleeps 12, beds all stay. TV in every bedroom. PS4 & Air Hockey included. 2 Pools. Includes use of main pool & new water slide park w/Lazy River. Only 1 in area. Owners only! Adjacent to city park"